Flowers are the best way to infuse romance in your long distance relationship. 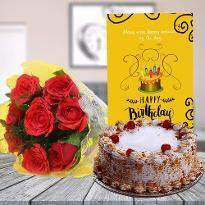 If your special ones live in Pune then order and send flowers to Pune to surprise her on birthday or just to make her feel special. Flowers have the power to express undying love and care. So, if you want to shower love and care on your loved ones then go for online flower delivery and have the perfect bouquet of flowers. 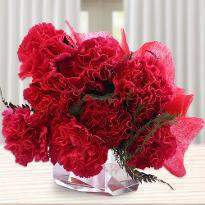 Shop for orchids, lilies, gerberas, carnations, roses and gladiolus. Pune has been the best city for us in a term for flower delivery. We are assuming that it is a cosmopolitan city with youth all around from different parts of India. Flowers are a hit among the Indians. It has been since ages since our forefathers lived that they expressed their love by giving a rose and we felt that was romantic. Romance has its own way of taking things; it hasn’t changed just that the platforms have changed. We make it happen now. We offer best flowers delivery in pune for your loved ones and make them feel special. Apart from the lovebirds, our best experiences have been mothers, sending flowers to Pune to their kids who are studying here in Pune or working with an MNC. Kids will be kids for parents forever. Why Order Flowers Online in Pune from Winni ? 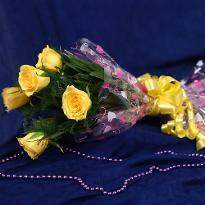 Flowers have been a big chunk of gifts that we deliver in Pune. The reason is obvious; Pune has such a huge IT crowd. Obviously, there would be lovebirds that get the flowers delivered and we make sure we make the moments special for them. We remember a few years back when someone trusted us when we were really new in the market and ordered a bouquet of flowers for his newlywed wife. The couple was not together as both of them worked in different cities. 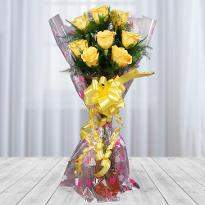 The husband made sure that if he could not reach Pune he will get the flowers delivered through us. 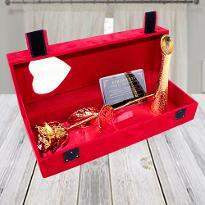 Taking a risk with us at that time and trusting us that we would be able to do the job was a task in it and that too for a newly married couple when the expectations are at a different level (LOL). We appreciate all the people today for their trust us in as we today are on the verge of becoming the best flower delivery site in Pune. Winni has grown into one of the largest flower and gift distribution network. We have normal flower bouquet arrangement; flower baskets; flowers with vases; exotic flower bouquets and arrangement and many more. Apart from this, we have flowers of different color, fragrance, designs and budget. 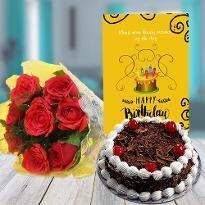 Winni offers flower bouquet in different sizes starting from single rose stem to a grand 10,000 rose bouquet.Let it be any occasion like Birthday, Anniversary, Mother’s day, Father’s Day, Teacher’s Day, Party cakes etc. 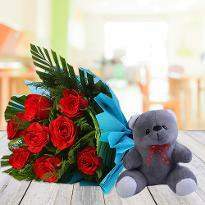 we deliver fresh flowers along with personalized gift such as cake, Chocolates, Teddy bear. Winni also offers various online flowers delivery options like same day in Pune and even at midnight in your vicinity to make your near and dear ones feel that they are really special for you. Last but not the least Winnis’ rates are reasonable and sure to fit within your budget. So contact Winni today through our website www.winni.in or login on your mobile app. How can I order flowers online in Pune? 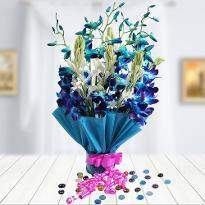 Choose the flower bouquet as per your wish and add the same to your cart. Proceed to checkout. You can opt for same day flower delivery in Pune, fixed time delivery or Midnight flower delivery in Pune. Choose a payment method available including net banking, credit card, debit card, paytm, mobikwik, paypal and more. Now it’s our turn, so just sit back and relax. 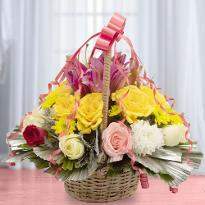 We will ensure home delivery of fresh and lovely flowers as chosen by you at the address mentioned during the checkout. How do I make sure that my order is correctly placed with Winni? So let the child inside you explore our online flower store in Pune, as nothing can beat the feeling of celebrating happiness with your near and dear ones. How can I pay if I want a flower delivery in Pune by winni? 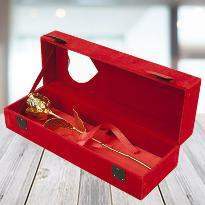 Does Winni provide special flowers for a special occasion in Pune? Do you want to give a special meaning to your newly formed love? Marriage is a new journey of life which is celebrated every year in the form of ‘Anniversary Day’. 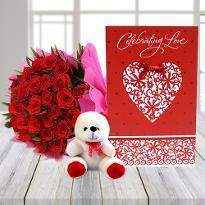 Gift your loved ones a bunch of Red roses along with a greeting card and take your love to new heights. Winni is a recognized online flower delivery outlet in Pune providing a long catalog of flowers for your special occasions. Order a bunch of white lilies to refurbish your love and bury the hatchet of anger (assuming if your better half is angry). Hence we have a bunch of flowers available for all occasions for you. Ho Ho!! Be it Christmas, Diwali, Valentine’s Day or the occasions that we have had a pleasant experience delivery the flowers at your doorsteps. One of our best deliveries of flowers has been the ones where we have delivered flowers to various Pune hospitals on the occasion of the birth of the child. We get to see the cute gift (baby) that God showered and we make sure that we make the special occasion a lifetime one with our perfect flowers for the occasion. Does Winni deliver fresh flowers in Pune? Tell us what kind of flowers we do not deliver. We have everything listed here in Pune. And even if we miss out on anything we will make sure that we get it delivered somehow to you at any cost. Out florists is one of the best professionals who keep innovating new design of bouquets and can work according to our needs. We had some really crazy and exciting orders. Flowers are something that ladies are really apprehensive about as to what if the flowers don’t reach on time or these fresh. Are these the same like shown on the website? Trust us these are better than the ones that are shown there. Our florists make sure they design the best for you. 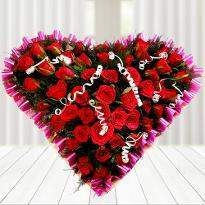 We do commendable job of online Valentine's day flower delivery in Pune. Can I send flowers to Pune at Midnight with Winni? Love is above all boundaries and time. There is no perfect or an exact time to share, love, care or nurture our loved ones. 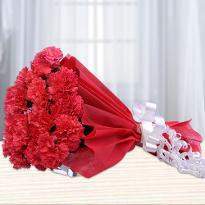 We at Winni understand your love and hence we provide Midnight flower delivery in Pune. We have a thousand types of flowers to offer you in various forms such as a bouquet, flower baskets, exotic flower bouquet and many more. We assure you to deliver fresh flower at Midnight in Pune that will make your celebration memorable and lifelong cherishing. Don’t let your love fade away if you are miles apart from your loved ones. 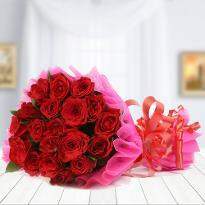 Send flowers to Pune from any corner of the world at Midnight by just a few clicks. No matter where you are, order beautiful flower baskets and send flowers and make a unique memory with us. Trust us! We will spoil you with thousands of choices to choose from. 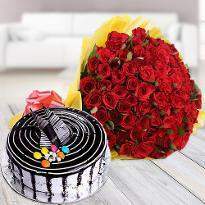 Along with flowers, you can also opt for midnight delivery of cake in Pune as well. Can I send my Personalized Message along with flowers in Pune? You will never hear a NO from us. Be it online flower delivery in Pune, Midnight flower delivery in Pune or Same day flower delivery in Pune. You name it and we have it. 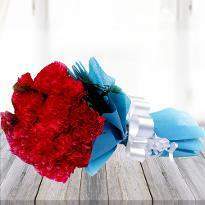 So blossom your love with our specialized flowers having a personal touch. Express your love and unsaid feelings through a personalized message sent along with a bunch of fresh flowers. There cannot be a single way to express your love and affection. So explore our new option of sending a personalized message along with flowers and we assure you to deliver it through all means and ways. Love is all around here in Pune. 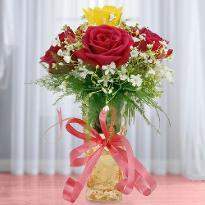 Send the best flowers from us at nominal prices with a perfect message. Can I also have cake delivery along with flower in Pune? Pune is the love city of India where souls meet for the lifetime. You look for the best combination of your partner and we will give you the option of best cake that would go with the flowers. A cake with flowers is the best combination ever. Winni offers the facility of cake delivery in Pune with a combo of a bunch of roses or a bouquet of orchids. 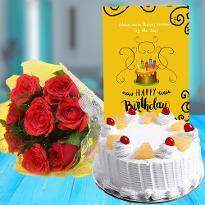 Popular cakes in the favourites of chocolates, fruit cakes, photo cakes, eggless cakes in Pune etc can be clubbed with beautiful flowers for delivery in Pune. Celebrating happy times by delivering not only cakes but fresh mesmerizing flowers to your loved ones in Pune is what Winni has been known for more than 4 years now. Want to send flowers and a cake to someone special residing in Pune? Winni.in is just a knock away. 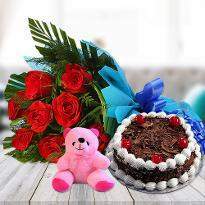 We are one of the largest florist chain and provide online cake delivery in Pune too. What differentiates us from the competitors is that we are spread in Pune with a remarkable distribution network. 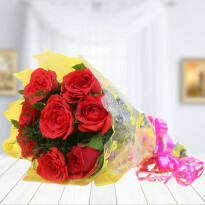 How much time before I should place order for flowers delivery in Pune? We can process the order for flower delivery in Pune within 3-4 hours but is recommended to place the order well within advance so that all the last minute hassle can be avoided related to the availability of flowers. Since flowers are the epitome of innocence and smile that fills the heart with utmost joy we don’t want to fail in delivering your happiness because of a logistics issue. Hence we request you to place the order 3-4 hours before the delivery time. The orders sometimes have been time-consuming. Flowers are like makeup for ladies; they might not like a particular design and might want some extra features. We want the best to go out from us and thus giving us some valuable time is only going to add beauty to the bouquet. 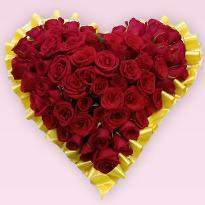 Which all areas winni offers flowers delivery in Pune? My friends studies in NICMAR, Pune and I wanted to send flowers and cake to him on his birthday. I had never used any online service before for delivery of flowers. However, I placed the order considering no other choice for me. To my surprise it was very smooth and quality was also good. Flower were really fresh. My friend loved it. They have raised my confidence in placing online order now. Thanks, Winni! I ordered some flowers for my friend the same day to have it delivered the same day. Definitely, great flowers compared to a standard floral bouquet. Will definitely recommend all and next time I order flowers from here. I ordered flowers to be delivered to my mother for mother's day. There was a problem with the flowers that were delivered and when I called Winni, they apologized and said they made another arrangement and deliver it. My mother called & said a beautiful arrangement was delivered and was so happy. Great customer service! Thanks Winni! â? ?The flowers I ordered were lovely. I have never been disappointed in the quality and beauty of any flowers that I've ordered. I don't do it oftenbut will always use winni.in Flowers when I need to send some.â?? Perfect! Couldn't have asked for more. Ordering was so easy and the flowers just beautiful. They were very well received with lots of gratitude. They certainly made her day! Thanks so much. Similar opinion? Write a review! I ordered Red Roses and had it delivered to Pune. 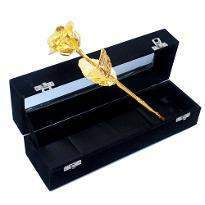 After ordering it, it was delivered within few hours.The price of roses was unbelievable under priced. Great Experience! Thank you for making it so easy. Promptly delivered on time. All the items were of good quality. The cake tasted fresh and the gift was nicely wrapped. Made the occasion so memorable. Overall a nice gifting experience. Will definitely shop again and recommend this. It is a surprise birthday present. The only thing am not satisfied is the way of delivery. It has to be a secret until it reach the person. That is the thrill.This delivery happened after calling the receiver of the gift and asking his whereabouts and correct address. It is not a tough address to find and i find paying Rs.150 for delivery is not good in this case. otherwise-its all good. I suggest you to include more variety gifts. Thank you. I ordered the Mango lycee heart cake for my husband. I was unsure how the cake would taste or if he would like it even or if it would come in a decent condition. I have had bad experiences with ordering cake online and when it reaches it definitly not worth the price paid. Winni went over the expectations! I received so many good reports from my family and husband. They said that the cake was just amazing. It just melts in the mouth. It was gone within seconds. Great and fresh quality cake. Thankyou for making my husbands birthday a special and definitely a surprising one! Very timely on delivery. Good communication- gave me updated when it was out for delivery and sent me an email once delivered right away. Thankyou! Keep up the great work. Will surely recommend and order more in future. For anyone out there confused to pick from the great choice that Winni provides. The mango lychee is the bomb! its the best- soft and light. Perfect pairing combination. Thankyou once again.